Designer Paolo Lucidi, Luca Pevere. 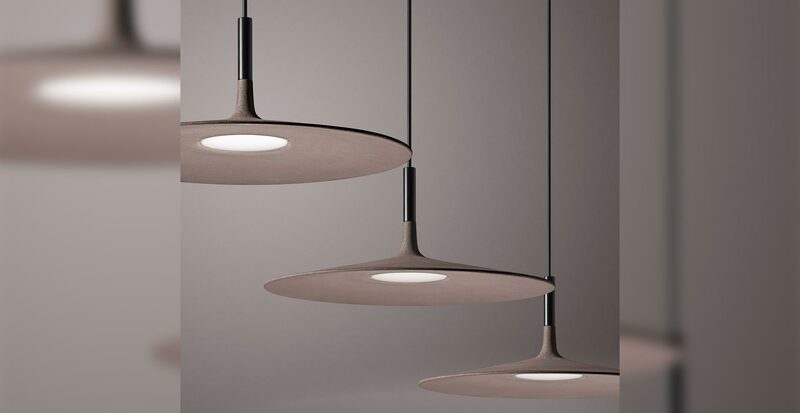 Visible concrete is part of the language of modern architecture and, with Aplomb, Foscarini presents a model that uses this material with completely new and innovative technology. 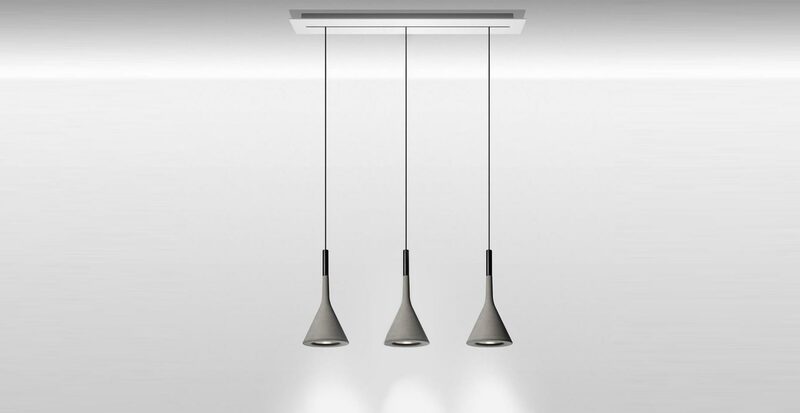 The material is translated, from large-scale architecture to a small suspension light, for interiors making it an elegant product with a simple formality, inspired by a material that has always been linked to the world of construction. This is what also inspires its name: Aplomb, a plumb-bob traditionally used by masons. 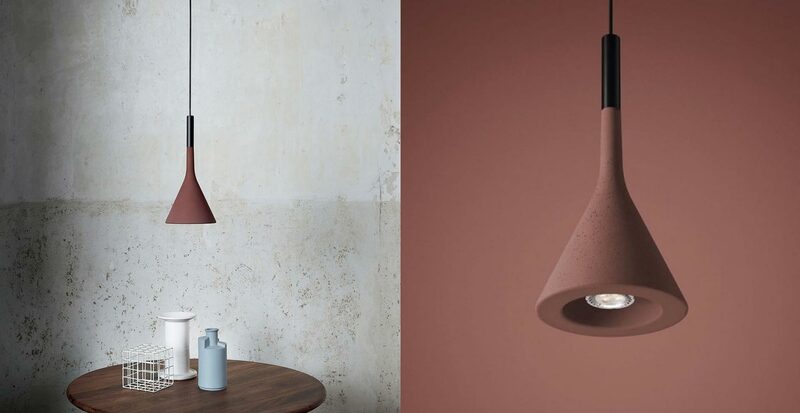 However, aplomb also means ‘self-possessed, confident’, like this lamp that distances itself from aseptic minimalism with all the material richness of concrete. Combining the need to obtain highly reduced dimensions and thickness, detailed finishes and smooth surfaces with the characteristic viscosity and lack of flexibility of concrete was the greatest challenge in developing Aplomb. 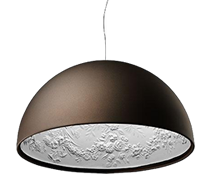 The result was achieved thanks to the use of a special amalgam, which is particularly fluid in the mould and produces a surface that appears rough, but which is gentle to the touch, as refined by a transparent layer finish. 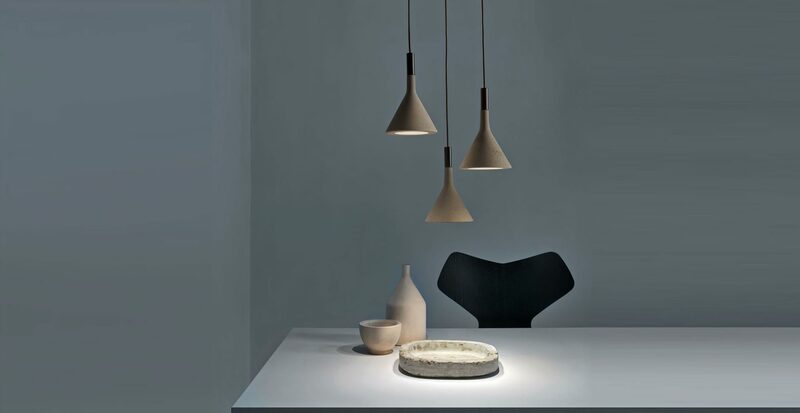 The lamp has an airy design, with the characteristic shape of an upside-down funnel, which mitigates the massive solidity of concrete yet celebrates its material aspect. 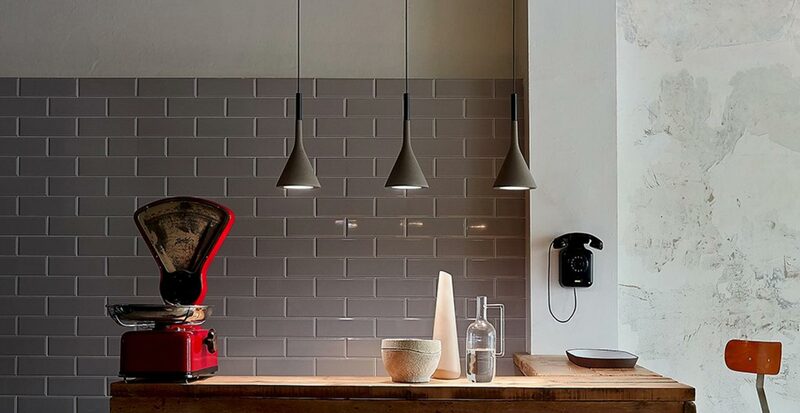 Aplomb creates precise, direct lighting, ideal for tables, peninsulas or counters, alone or in composition. 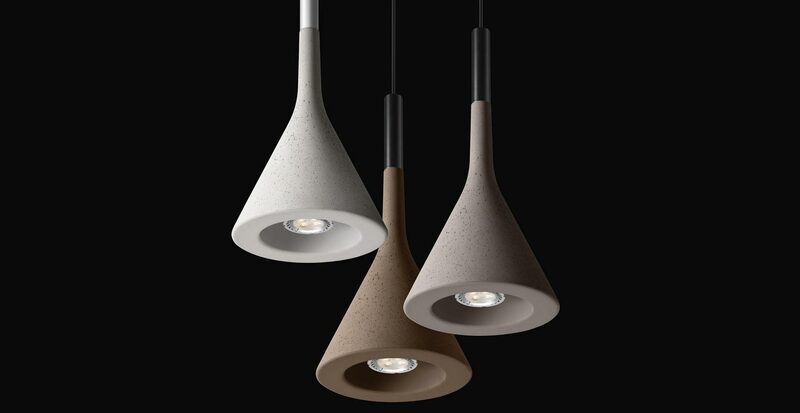 It comes in three colour finishes that highlight its personality and meet different styles: from the classic grey of rough concrete, which gives depth to volumes, to elegant white or warm, intense brown. These are colours that are particularly suitable, either in harmony or contrast to all environments, whether in the home or contract sectors. 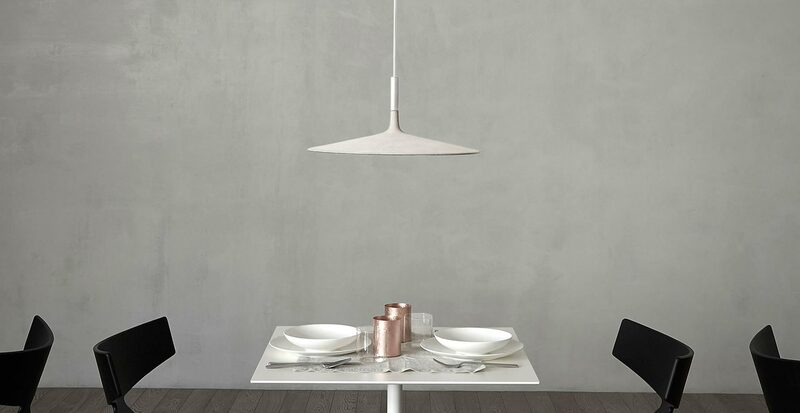 Aplomb is the archetype of simple and concrete design for Foscarini.